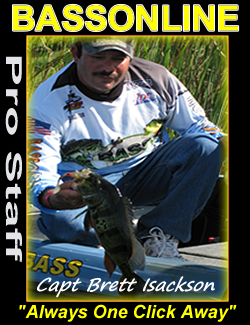 Captain Brett Isackson is a full-time bass fishing guide and servicing the Southeast Florida region. He covers Miami, Fort Lauderdale, Boca Raton, Delray and Palm Beach Coast.Some of the fisheries you will hear him giving fishing reports on maybe the Everglades near Holiday Park and Sawgrass. He does a great job at covering all the freshwater species as well. Like the hard fishing peacock bass and snake-head. He also gives updates on Lake Ida and Lake Osborne as well as Loxs Refuge. Listen in every two weeks for the latest fishing reports in the Southeast Region of Florida. 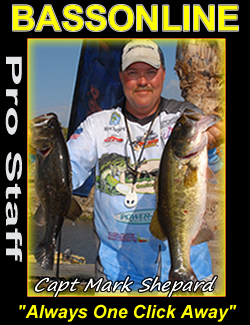 Captain Mark Shepard is a full-time bass fishing guide and touring professional angler. Experience includes B.A.S.S. tour, FLW Outdoor tournaments and many others. Is currently lives on Lake Okeechobee in the town of Clewiston and fishes the lake daily as well as the Everglades. Be sure to listen in to the Okeechobee fishing reports on a bi-weekly bases or before you head out for that big fishing tournament to find out whats hot and whats not! So, listen in every two weeks for my latest audio Okeechobee fishing reports from the entire Okeechobee Region of Florida. 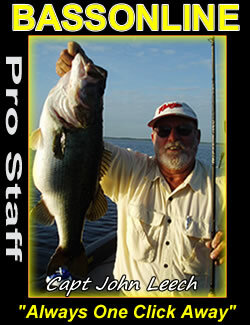 Captain John Leech is a full-time bass fishing guide for over 20 year in Central Florida. I moved to Florida in 1975 as a salesman for Outdoor Sports Headquarters and took my first guide trip for the Bait Shack in Leesburg, Florida. By 1983 I was fortune to be able to do the one thing I loved the most FISH and make a living doing it. Thats what I call a dream job Central Florida Bass Fishing Guide no doubt that fishing in Central is one of the best in the world. I look forward to telling you all about locations and fishing in my Central Florida Fishing Reports. Captain Shawn Carpenter has been fishing Florida lakes and reservoirs for more than 40 years. He has been a Professional Angler and Guide for the past 15 years. Capt. 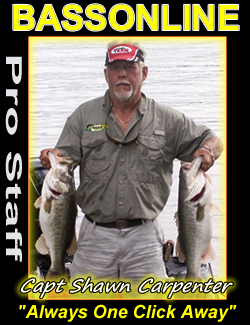 Shawn has fished along side many of the top elite bass fishing anglers on national ESPN Bassmaster and ABA tours. He is recognized as one of the top fishing guides in the North Florida Region and is highly sought after as both a guest speaker and instructor at Florida Boat Shows and Seminars. He has a thorough knowledge of the techniques and skills you need to fish the freshwater lakes and reservoirs of North Florida when bass fishing. He specializes in Rodman Reservoir, Lake Kerr, Harris Chain of Lakes, Lake Griffin, Lake Panasofkee, Lake George, Oklawaha River and all other North Florida Lakes and Reservoirs. Listen in every two weeks as I share fishing tips and location for fishing the North Florida Region. 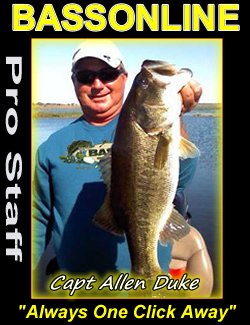 Captain Allen Duke I have been guiding in the Florida Panhandle and the surrounding waters of Port Saint Joe, Florida for over 41 years. I have been fishing these waters for as long as I can remember and took my first client out when I was twelve. For the last fourteen years I have been a US Coast Guard approved Captain. Your safety is of great concern to me and an important measure to insure an enjoyable time is had by all. In my efforts to provide my clients with the most enjoyable time on the water I have taken the time to study and understand more then the patterns and habits of the fish. I have taken the time to study the habits of the food chain and the effects the weather has on both the bait and the fish. I like to think I am a hard working captain who is easy to get along with and willing to adapt to the current conditions to ensure you have a successful fun and memorable experience. While the Panhandle of Florida may not be known for trophy bass it is known for its beautiful surroundings and mutable species of bass in the area. Listen in every two weeks as I share fishing tips and locations for fishing the Florida Panhandle Region.